A friend of ours recently sent us a video of these two amazing Mexican guitarists who specialize in playing fast rhythmic Mexican guitar. A conversation soon followed about movies with great guitar scenes. We thought it would be fun to take a shot at listing some of the best ones, knowing that there will be some debate and that we will definitely miss one or two. Here is our list of ten great movie scenes with guitars. 10. 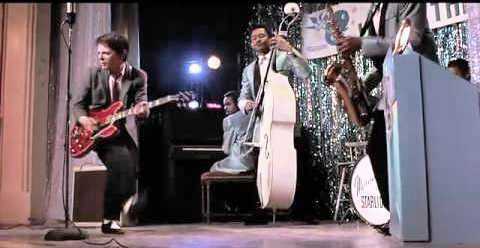 Back To The Future (1985) – Marty McFly mimics famous rock stars during the later part of his performance at the school dance, during his rendition of Johnny B. Goode, by Chuck Berry. His jumping (The Who), playing the guitar on his back (Angus Young of AC/DC), hopping across the stage with one leg kicked up (Chuck Berry) and his solo (Eddie Van Halen). 9. 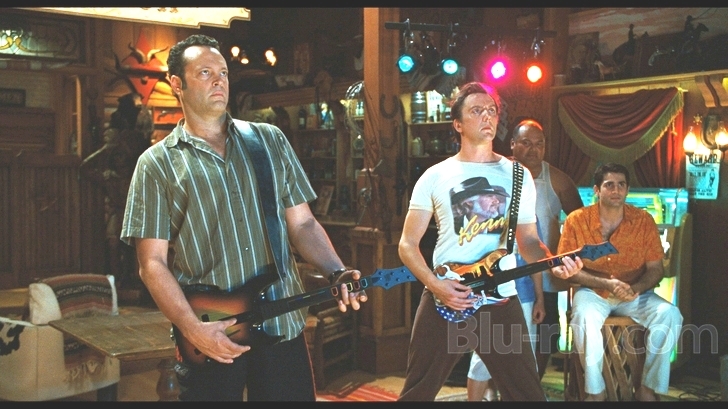 Couples Retreat (2009) – While Vince Vaughn is not using a real guitar, his battle to gain freedom via a Guitar Hero competition deserves mentioning. Mostly because its Billy Squier’s Lonely Is The Night, which has a cutting axe intro … and well, he is Vince Vaughn. It was hard to find the full clip, but here is a decent snippet. 8. Road House (1989) – The late, great Jeff Healey, a blind guitarist does a great rendition of Muddy Waters’ Hoochie Coochie Man. RIP Jeff Healey and RIP Patrick Swayze. Road House is an american classic. 7. Crossroads (1986) – The movie ends with a guitar battle between Ralph Macchio and heavy metal hair band guitar virtuoso, Steve Vai. Ry Cooder was the musical director. 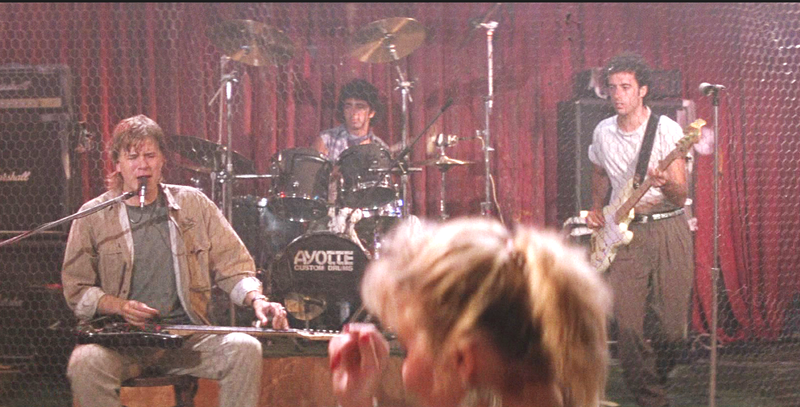 There is much written about this scene, including at least two other endings and guitar players that were considered to square off against Macchio before they settled on Vai. 6. 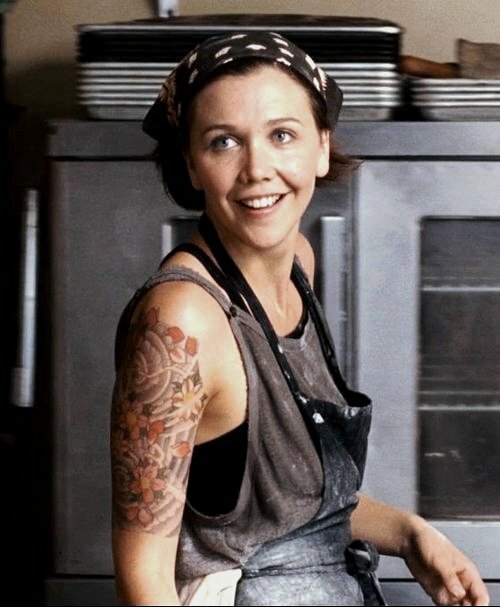 Stranger Than Fiction (2006) – This is a fantastic comedy-drama featuring Will Ferrell in a much more serious role than we are used to and the wonderful Maggie Gyllenhaal, sporting a half sleeve tattoo (hot!). Will learns to play guitar and serenades Maggie with the only song he knows – Whole Wide World by Wreckless Eric. 5. Deliverance (1972) – The haunting American thriller based on the novel of same name. There is a creepy scene at a filling station where Ronny Cox engages in an impromptu Dueling Banjos with a mentally challenged banjo playing mountain boy, with some foreshadowing and strong repercussions later in the film. 4. Walk The Line (2005) – The American biographical film about the life of Johnny Cash. 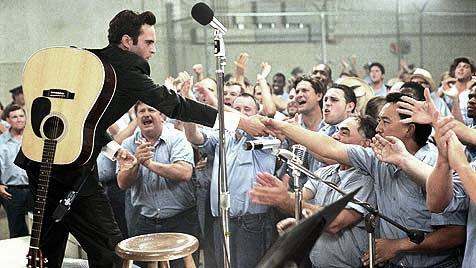 The movies recount of when Johnny Cash performed in Folsom Prison. Joaquin Phoenix does a fantastic job of singing Cocaine Blues and compliments the inmates on their toughness for drinking dirty water, at the expense of the warden. 3. Purple Rain (1984) – The American rock musical drama film directed by Albert Magnoli, where Prince makes his film debut, and was produced to showcase his musical talents. The final scene is perhaps the best where he performs the title track, Purple Rain, with Apollonia, who was married (to someone else) during this film, but sworn to secrecy. 2. Desperado (1995) – The American cult film written and directed by Robert Rodriguez. 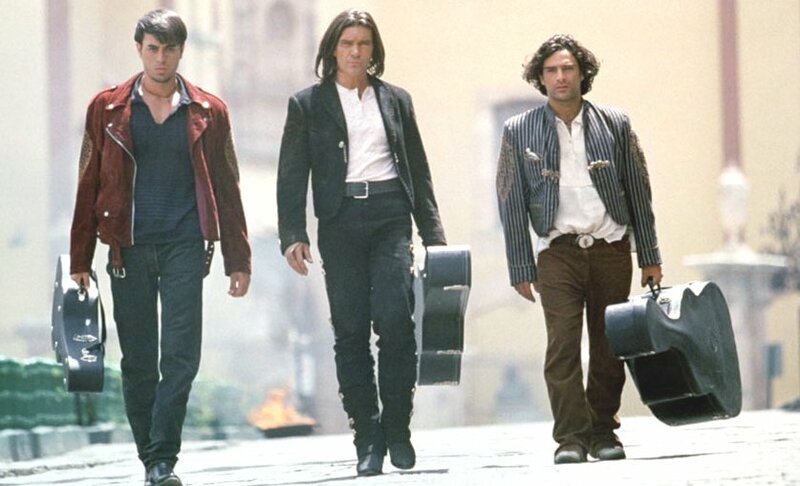 The film stars Antonio Banderas as the former mariachi who seeks revenge on the drug lord who killed his lover. There is a wonderul scene where he teaches a young boy to play Mexican guitar, which inspired many to take up guitar. 1. 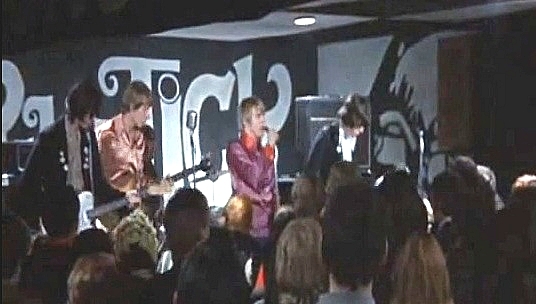 Blow Up (1966) – A film about a photographer with perhaps the most widely noted cameo by The Yardbirds, who perform Stroll On. Director, Michelangelo Antonioni first asked Eric Burdon to play that scene but he turned it down. As Keith Relf sings, Jimmy Page and Jeff Beck play to either side, along with Chris Dreja. After his guitar amplifier fails, Beck bashes his guitar to bits, as The Who did at the time. Antonioni had wanted The Who in Blowup as he was fascinated by Pete Townshend‘s guitar-smashing routine. Give it a spin if you havent seen it, … truly rugged material. OK, now let us know what we forgot !